Martin Spanjaard studied composition with Cornelis Dopper in Amsterdam and Friedrich Gernsheim in Berlin. He primarily made a career as a conductor. Most of his compositions date from the beginning of his career, before he was appointed as conductor of the Arnhem Orchestral Society. An increasingly busy schedule, serving as guest conductor in Berlin, Vienna, Budapest and Prague left little time for composing. 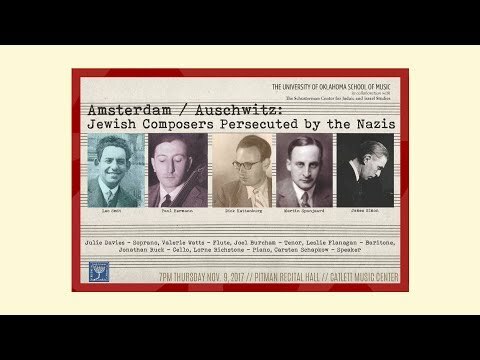 After 1933, he conducted exclusively in the Netherlands, until that was also prohibited. Martin Spanjaard was murdered in Auschwitz. He was born on July 30, 1892, son of a wealthy textile manufacturer. When Martin was seven years old the family moved to The Hague and from that time onwards, the youngster was always on the front row at the Kurhaus Hotel concerts in Scheveningen. He studied violin in the The Hague with Joseph Salmon and Andre Spoor (concertmaster of the Concertgebouw Orchestra), and piano and composition with Frits Koeberg. He stated that at seventeen “the defining day had arrived to become a professional musician.” On that same day he conducted his own Serenade for orchestra at the French Opera in The Hague. The audience's enthusiastic response had given him that extra push. In 1915, he moved to Berlin hoping to enroll at the Hochschule für Musik. In his suitcase three compositions: a double fugue for string orchestra, an overture and a symphonic poem for large orchestra. With these works, he passed the examinations and was admitted to Friedrich Gernsheim's composition class. He also played viola in the conservatory orchestra led by Willy Hess. In his opinion, it was paramount for a future conductor to know the orchestra inside out. On Professor Hess' suggestion, the young Dutchman was given the opportunity to conduct his own work with the conservatory orchestra. Back in the Netherlands Spanjaard spent six months in Amsterdam, took composition lessons with Cornelis Dopper and became an assistant to Mengelberg, who taught him the tricks of the trade. He then returned to Berlin for an internship as Kapellmeister with the State Opera. The musicians in Arnhem were paid considerably less than their counterparts in the western part of the Netherlands and the string section was underrepresented, but Spanjaard managed to achieve good results with his orchestra. This rapidly led to invitations for guest appearances at home and abroad. In 1921, the young conductor traveled to Hamburg, Berlin and Munich. In Utrecht, Spanjaard replaced Jan van Gilse at the last minute. Willem Pijper, music critic of the daily Utrechtsch Dagblad, praised his temperament and ability to capture an audience. “He will [...] become one of our best conductors if his personality keeps pace with his skills.” In early July 1924, Spanjaard conducted the Amsterdam Concertgebouw Orchestra for the first time with works that ran like a common thread through his career: Carnaval romain by Berlioz and Dopper's Ciaconna gotica. Besides the concert series in Arnhem and Nijmegen, the orchestra performed regularly in small towns in the area, like Doesburg, Doetinchem, Lochem, Zutphen and Deventer. For those concerts, Spanjaard selected mostly well-known works. The audience loved it and put him on a pedestal. From the spring of 1930 onwards, he also regularly conducted the aov for Dutch radio broadcasts. He’s one of few young conductors, in whose handling of the orchestra, the direct influence of the great Mengelberg is perceptible. The same broad and yet controlled movements, the same precision and continuous care of each detail, the same love for clarity, building a logical structure with equally clear gestures. One month later he conducted for the first time in Vienna. The Neue Freie Presse wrote of a “warm-blooded, temperamental musician who excellently mastered the orchestra.” A year later, he conducted works by Berlioz, Roussel, Saint-Saëns and Franck with the Philharmonic Orchestra in Budapest and achieved “genuinely warm and enthusiastic success.” In Budapest he also accompanied the renowned violinist Bronislav Huberman and he made his debut in Prague. In the late summer of 1930, Spanjaard traveled to Baku in Southern Russia for a series of concerts. The critic of the leading national newspaper Nieuwe Rotterdamsche Courant was pleasantly surprised with the premiere of a work by Respighi in Arnhem. “For conductors working in provincial towns, usually without sufficient resources, it's not easy to turn a modern orchestra into a first-rate ensemble.” The interpretation of Roussel's Le festin de l'araignée was considered competent. “With his innate musical sense, his ear for contemporary sound and his pronounced capabilities as a conductor, Spanjaard has managed to present a good picture of this contemporary French piece. His small orchestra has developed a striking sound.” The same newspaper praised his concert programs in Arnhem, which over the years had featured music by numerous French contemporary composers. Spanjaard became a frequent guest conductor in Vienna and Berlin. The Berlin audiences were treated to the French composers Berlioz, Roussel and Ravel, next to Haydn. Newspapers wrote of an exuberant triumph, and according to the Dutch newspaper De Telegraaf it seemed that the applause would never end. In Vienna, people flocked to the Musikverein to hear Dopper, Ravel and Tchaikovsky. The daily Het Vaderland: “At the conclusion of the concert, many people ran up to the stage applauding incessantly, and the Dutchman took several curtain calls.” At the end of November 1930, Spanjaard conducted the Vienna Philharmonic in the sold-out Musikverein. It was the Austrian premiere of Stravinsky's Capriccio, with the composer at the piano. The event was advertised on Viennese posters as a concert with Igor Strajaard and Martin Spanwinsky, “Namen Engführung in dubbel-contrapunt,” (a mix-up of names in double counterpoint), according to Spanjaard. Stravinsky arrived two days before the concert in Vienna. It was the first time the two musicians met. Back in the Netherlands, the audience in the rural town of Doetinchem awaited his return in a concert hall far too small for the overwhelming brass sections of Wagner and Strauss. The contrast between the successes in majestic Vienna and the sober reality of provincial Doetinchem was enormous. His Arnhem Orchestra was regularly in financial problems. In 1931, because of this dire situation, the orchestra no longer could perform music protected by copyright and the musicians also had to accept eight percent less salary. After his departure from Arnhem it was quiet for awhile. Meanwhile, Hitler had seized power in Germany. Musicians of Jewish origin were prohibited from performing. Spanjaard's international career came to a crashing halt. He was now dependent on guest appearances in the Netherlands. Jos Vranken wrote with enthusiasm in De Telegraaf, praising Spanjaard's performance with the Residentie Orchestra. Het Vaderland welcomed Spanjaard with open arms and marveled at his considerable progression as a conductor. At this concert, he also premiered a posthumously published overture by Anton Bruckner. In The Hague, publisher L.J.C. Boucher produced Spanjaard's monograph on Bruckner. In September 1935 and May 1936, Spanjaard once again conducted Bruckner's First Symphony with the Residentie Orchestra. Het Vaderland: “Martin Spanjaard undeniably has Bruckner blood running through his veins.” De Telegraaf critic Jos Vranken expressed the firm wish to hear more Bruckner conducted by Spanjaard. But that didn't happen and it became silent around the once celebrated conductor. On May 13, 1939, an advertisement in newspaper Het Vaderland announced the auction of Martin Spanjaard's inventory. Was he planning to leave the Netherlands? Or was he experiencing financial troubles? Nevertheless, Spanjaard appeared on June 25th as a guest conductor at the Kurhaus during a Sunday matinee. The critics now described him as an accomplished conductor who had nothing more to learn. “With ease and great certainty he handles his wand, not like a magician, but primarily to transmit his clear, energetic, warm and sensitive intentions.” On June 30th, he conducted the Concertgebouw Orchestra playing Mozart, Bosmans and Bruckner's first symphony. The newspaper De Tijd wrote about Spanjaard as “one of the most diligent Brucknerians of our country” and praised the refined details of the performance. In August 1939 and March 1940, he conducted two concerts with the Residentie Orchestra. Then the war broke out and conducting became forbidden for Spanjaard. He tried to survive by offering musicology courses. The deportations in The Hague started in August 1942. In the night of August 2, 1942, Martin Spanjaard and his second wife, Elly Okladek, were taken from their home in The Hague. Two months later, on September 30th, they were murdered in Auschwitz. In his own words Spanjaard was already composing in his childhood. “Ich schrieb alles mögliche, wozu es einen jungen Menschen treibt, der Musik in sich fühlt,” (I wrote whatever I felt, I had so much music inside of me). In an interview with a Viennese newspaper, he said that although he was born and raised in the Netherlands, he always had loved the sounds from the heart of Europe, a kind of longing. In 1914, Spanjaard's Symphonisch Gedicht naar het sprookje uit de Duizend en ééne Nacht (Symphonic poem after the tale A Thousand and One Nights) was premiered by the Utrechtsch Stedelijk Orchest (Utrecht City Orchestra). Nothing remains from his early works. During his Berlin years he wrote Drei Lieder nach Gedichten von Li Tai Po, which were later published by Alsbach. In these sensitive and balanced songs, he demonstrates his comprehension of the German romantic song tradition, even though the last song ends in a series of Debussy-like chords. A lively Scherzo for orchestra was also completed in Berlin. Furthermore, a few symphonic works have been preserved although some are unfinished, probably due to a lack of time. 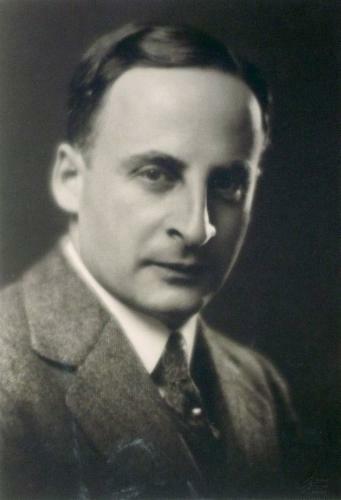 In the second decade of the twentieth century, Spanjaard published three of his own compositions in the magazine Ons eigen tijdschrift, published by Van Houten Cocoa: Caprice for Piano, Lullaby and Aus Grünen Fluten (Li Tai Po). And he orchestrated two songs for soprano and orchestra by the Russian romantic composer Alexander Gretsjaninov.